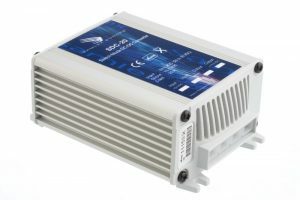 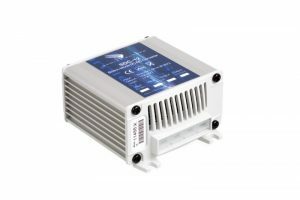 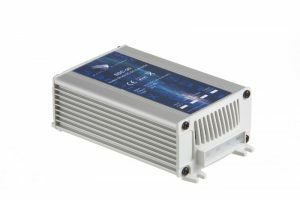 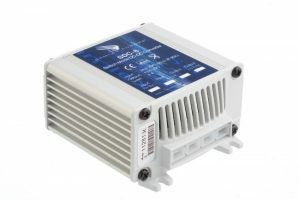 This highly efficient switch mode step-down DC-DC converter converts an input voltage of 24 VDC nominal (range 18 VDC to 32 VDC) to a highly regulated output voltage of 12 VDC nominal (13.8 VDC) at 8 Amps and is also having an extra MEMORY BACKUP output of 100mA @ 12Vdc. 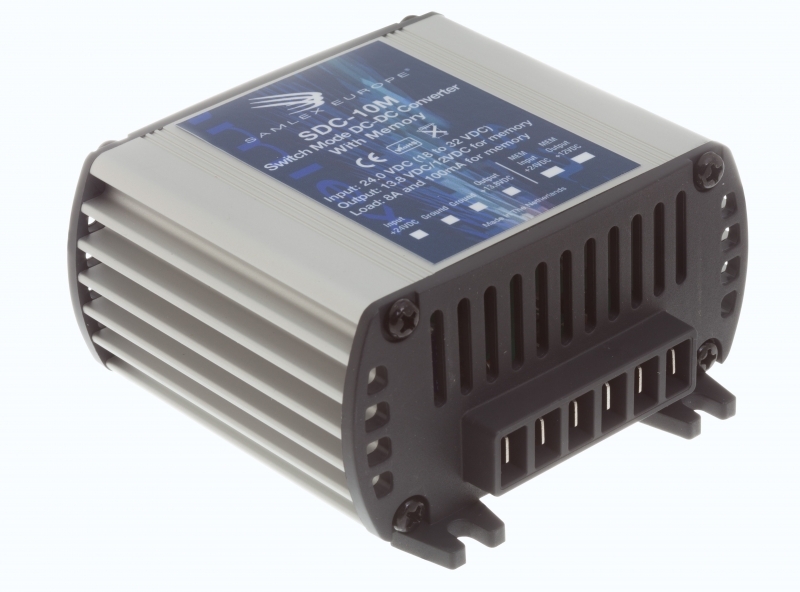 The SDC-10M DC-DC converter is non-isolated (no galvanic isolation between input and output) and meant for use in negative ground systems. Features include short circuit, reverse polarity and overvoltage protection.